The guiding aim of legislatures should be to protect and promote human rights. This might seem a common sense or obvious proposition. But there are some theorists and judges who reject it, holding that human rights are the province of courts while the task of legislatures is to increase the welfare of society in aggregate or on average. Other theorists and judges accept that the legislatures should aim to protect rights but doubt their practical competence in doing so. Finally, some theorists and judges neglect the question of the legislative role simply because both scholarly and popular discourse about human rights has focussed on the judicial role to an overwhelming degree. Six authors—Richard Ekins, Maris Köpcke, Francisco Urbina, Bradley Miller, and us—aim to correct this imbalance and propose a new theory of human rights law that emphasises the legislature’s role in Legislated Rights: Securing Human Rights through Legislation. 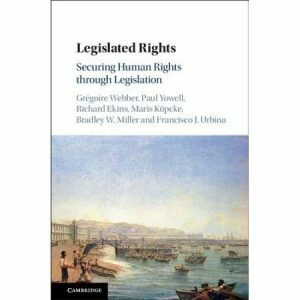 The book not only shows how instruments such as the Universal Declaration of Human Rights can serve as a guideline for legislating well, but also argues that legislatures are well placed to succeed in this task. Legislatures should be, and in well-functioning democracies commonly are, at the centre of human rights practice. The book is organised around identifying and criticising four theses regarding the relationship between human rights, legislatures, and courts that animate standard scholarly and judicial discourse; and we propose four counter-theses to replace them. These are summarised below and in chapter 1 of the book, made available online with the permission of Cambridge University Press. One thesis inhibiting an understanding of the legislative role is the claim that the legislature’s main function is to promote the general welfare by aggregating preferences or maximising overall utility (Thesis 1). Scepticism about the legislature’s capacity to protect human rights often focuses on the legislature’s susceptibility to demagoguery or corruption, but sometimes runs deeper. Some hold that even when the legislature is free of such contingent faults, its role does not embrace reasoned deliberation about human rights or the moral principles that inform them. Rather, the legislature is conceived as promoting social welfare in an aggregative sense, and this is said to be its essential function. Ronald Dworkin goes so far as to call the political process a ‘machine’ or ‘computer’ that counts and registers all preferences in society in order to ‘translate’ them into law. This conception of legislating treats utilitarianism as the principle upon which legislative institutions are expected to deliberate, even if the utilitarian calculus is not the final measure of political justification. The aggregation of preferences thus becomes a substitute for reasoned deliberation. In opposition to this thesis, we argue that the legislature is capable of principled, reasoned deliberation, and the central case of legislative action consists in reasoned deliberation to promote the common good, which has as its concern the well-being and rights of all persons in community (Counter-thesis 1). The lists of rights and principles in human rights instruments sketch an outline of the common good across a range of human values, goods, and needs, including: life, liberty, security, equality, privacy, family life, property, religion, expression, association, and assembly. The common good is best understood not as some overall general welfare function whose increase or decrease can be quantified like GDP. Rather, it is that set of conditions that enable each and every member of the community to realise his or her well-being. The common good cannot be advance by sacrificing the rights, needs, or goods of some persons for the sake of some greater number of persons. Theories—like classical utilitarianism—that downplay or ignore the importance of rights should be rejected even as a provisional guide for legislative deliberation. A second thesis holds that the legislature, unlike the court, is institutionally biased toward majority interests and against minorities and is thus unfit to engage in principled decision-making about human rights (Thesis 2). According to this thesis, the legislature functions well with regard to aggregating preferences (the task assigned to it by Thesis 1) and thus can be entrusted with certain decisions about expenditures, taxation, allocation of resources, and other broad matters of public policy. Basic features of its institutional structure, however, make the legislature systematically biased against minorities. Majority voting within the legislature, together with majority or plurality voting to elect representatives to the legislative chamber, condition law-making to attend to the interests of the majority of the electorate. Courts, on this view, are well placed to protect minorities and their rights, in part because of their independence and counter-majoritarian role and in part because of the standing of even a single litigant to challenge decisions made by or with the approval of the majority. We reject this majoritarian conception of the legislature and argue that the legislature is not inherently biased against minorities and is fit to engage in principled decision-making about human rights (Counter-thesis 2). In any given vote, the majority of ayes or nays will win, but it is a mistake to think that this entails the existence of a ‘majority’ as a stable, unified collective group that acts through time and transmits its preferences through the political process. More fundamentally, thesis 2 adopts a mode of analysis that is ill-suited to explain the way in which the legislature acts. That action is best understood by attending to the reasons of those who act, as they conceive them. Understood from the point of view of legislators and their reasons for supporting or opposing a proposal, ‘the majority’ is not an unprincipled, unreasoning collective and the fact that ‘the majority’ (of electors or of legislators) wants something is itself no reason to favour it. It is true that democratically elected legislative majorities sometimes fail to protect the rights of minorities and sometimes oppress them, just as it is true that minorities (whether tribe, caste, aristocracy, oligarchy, prince, or other) have sometimes oppressed majorities. Our argument acknowledges that those with power will sometimes yield to the temptation to abuse it. Lacking in historical support, however, is the broad claim that democratic legislatures are intrinsically biased against minorities. That claim, sometimes expressed, other times assumed, has been taken to justify an expansive supervisory role for courts. Debate over the institutional roles of legislatures and courts requires a sound understanding of the practices of both, with such understanding informed, but not exhausted by, a careful account of history. Such an account includes attention to how legislatures, governed by majority voting procedures, extend the positive law to protect the human rights of minority groups. Among some of the better-known examples are the abolition first of the slave trade and later of slavery by the Westminster Parliament (Slave Trade Act 1807 and Slavery Abolition Act 1833); the prohibition of racial discrimination in employment in the US Civil Rights Act 1964 and the later extension of this to other groups (for example, with the US Americans With Disabilities Act 1991); and the US Voting Rights Act 1965. The third thesis holds that the legislature regularly and permissibly acts in opposition to human rights, since it must infringe rights to achieve other aims for the sake of the public interest (Thesis 3). This thesis has taken hold in the jurisprudence of the European Court of Human Rights and of many other European and Commonwealth courts. It is widely assumed that human rights instruments not only set out to guarantee rights, but also authorise their infringement, subject to conditions. When confronted with a rights claim, the European Court typically begins its judgment by first determining whether a legislative measure has infringed a human right. If so, the Court proceeds to determine, at a second stage, whether there is a justification for the infringement. 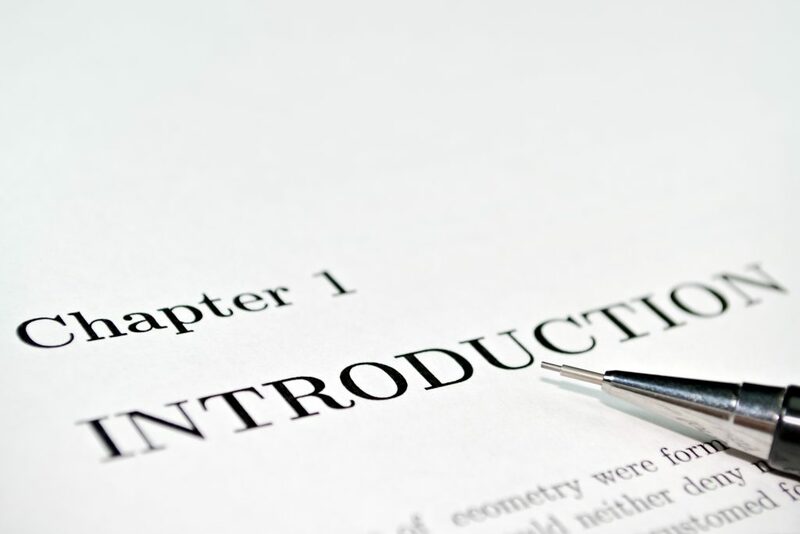 The second stage consists in the application of a proportionality analysis, which weighs the value of the aim and effects of the legislative measure against the burdens imposed on the rights claimant in order to evaluate whether the infringement is justified. The point of this exercise, with few exceptions, is not to interpret and to vindicate the priority of the right, or even to set defined limits, applicable in future cases, to how far the right can be infringed. Rather, the point of the exercise is to decide whether, in the immediate case, the public interest in the legislative measure outweighs the burden imposed on individual interests. European and Commonwealth case law regularly concludes that the public interest outweighs individual interests and therefore prevails over constitutionally declared rights, with the consequence that the legally justified infringement of legally guaranteed rights is common. We reject the claim that the scope of the legislature’s authority involves or extends to acting in opposition to human rights and argue on the contrary that sound legislation does not oppose human rights, but rather affirms the requirements of human rights, including by specifying the broad, goal-oriented standards included in human rights instruments into relatively precise legal form (Counter-thesis 3). The reasonable legislature does not set out to secure some public benefit either by deliberately infringing human rights or by accepting such infringements as a side-effect. Legislation, in its central case, does not oppose rights; it is made for the community’s common good and for the rights of persons that are an integral part thereof. Because the open-ended human rights standards of the Universal Declaration and the European Convention are in need of specification, they leave open answers to the questions: What do my rights entitle me to do (or be free from)? Who is to do (or forbear from) what in satisfaction of my rights? To answer these questions, a series of legislative measures must be selected from among reasonable and morally underdetermined alternatives and authoritatively established. The human right to freedom of expression, for example, must be specified in relation to intellectual property and copyright, commercial advertisement, perjury, seditious libel, official state secrets, and so forth. Such specification is not fully settled by reason. Within a zone demarcated, on one side, by what reason requires and, on the other, by what reason prohibits, the legislature must make choices in settling which relationships between persons will realise the commitment to freedom of expression in the community. Such choices are informed by local factual circumstances and predictions about causes and effects. Decisions about how to realise how human rights should not be a matter of universal solutions supposed to be valid across all national boundaries. A fourth thesis claims that, with few exceptions, human rights are defeasible, because they are conditional on the weight of individual interests which of necessity must be balanced against other interests (Thesis 4). This general conception of human rights grounds rights in (and sometimes equates them with) individual interests and accepts that these interests will be in competition with other interests and with the public interest. Reasoning about human rights generally takes the form of evaluating when infringements of rights are justified, by appealing to proportionality analysis and its requirement that one balance individual interests and the competing public interest. That reasoning – about justifying the infringements of rights – regularly overpowers thinking about rights themselves, with the consequence that proportionality and balancing have become the central judicial inquiries. Thus a number of scholars tracking and rationalising the jurisprudence of the European Court of Human Rights, such as Kai Möller and Matthias Kumm, have concluded that rights do not have special normative force. They identify the autonomy interest as the fundamental moral value at stake in human rights cases generally and treat lists of distinct human rights like rebranded versions of the same generic product: liberty, association, expression, family life, and so forth are different ways of expressing the autonomy interest. That framing allows rights to be defined without reference to the interests of persons other than the individual right-holder and views with suspicion any restriction on the putative right-holder’s ambitiously defined ‘interests’. This individualistic bias is overcome by courts in concrete cases, but only at the cost of endorsing the thesis that rights must sometimes be infringed. In opposition to the idea that human rights are inviolable, the thesis that rights may be infringed is held forth as a virtue because it allows for an expansive reading of human rights and the concomitant expansive jurisdiction of courts to adjudicate across a wide range of issues. We argue that these supposed benefits are illusory or weak and we defend the counter-thesis that the legislature is capable of providing non-defeasible protection to human rights, by specifying them in a form so that the rights are not defeasible against countervailing interests or the general welfare (Counter-thesis 4). The account of rights given in Thesis 4 results in the loss of rights: rights lose their intelligibility and integrity because they collapse into a single interest (autonomy) or a family of interests, all of which focus exclusively on the putative right-holder. The Universal Declaration of Human Rights reflects a better view of rights as distinct, integral, constitutive parts of the common good and propounds human rights in ways that require implementation through extensive and detailed activity by the legislature. Reasoning about human rights should generally take the form of determining what specific standards and rules are required to secure rights, and it should centrally include deliberation about how such standards and rules should be expressed in the community’s positive law. We argue that most human rights standards, as formulated in the Universal Declaration and similar instruments, are incompletely specified and should be understood to invite further specification. That specification needs to be made, in the first instance, through legislation. Human rights need positive law not only to add security for the respect of the rights of persons, but also to realise—by specifying in law—the requirements of human rights. Legislatures should be understood as full partners in this enterprise of promoting and protecting human rights and not as a standing threat to rights against which courts must serve as guardians.